Professor Endo will share some things learned in a career of teaching Japanese. The main topics of the presentation will be: (1) brief remarks on teaching in general; (2) examples of “unique” methods I have adopted; (3) problems teachers of Japanese are facing and possible solutions, based on the results of a 2015 survey of 30 colleges in the Midwest (co-conducted with Professor Misumi Sadler); (4) college students’ perspectives on their high- school Japanese education, based on the results of an informal survey; and (5) examples of collaborations between secondary and post-secondary school teachers in Michigan. Lively discussion with and among the attendees on issues related to teaching in general or teaching Japanese in particular will be welcome. 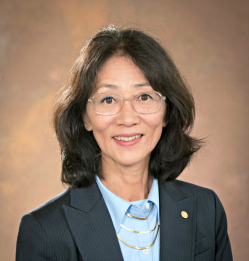 Professor Mutsuko Endo Hudson is a professor of Japanese and linguistics at Michigan State University. Her research areas in linguistics are: pragmatics, discourse, and functional grammar. She analyzes spoken and written data in natural interaction considering historical, cognitive, and interactive factors, and from multiple perspectives such as speaker-hearer and speaker-utterance relations, information status, viewpoint, volition, emotivity, speech acts, and politeness. Intended audience for this event are elementary, secondary and post-secondary teachers of Japanese language. Registration required. Free and open to the public.